Ah, Prune Face. What kid didn't love this guy? 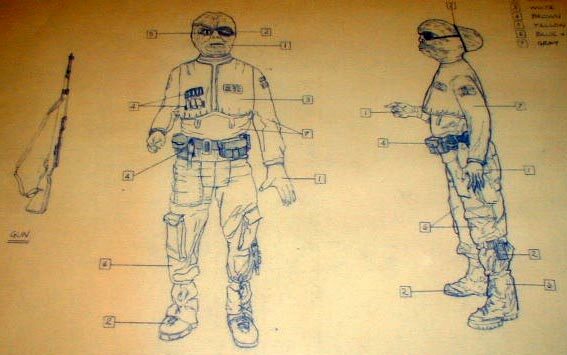 Not only was he an action packed hero of the Rebel Alliance, one might surmise that he was reasonably good for the digestion. 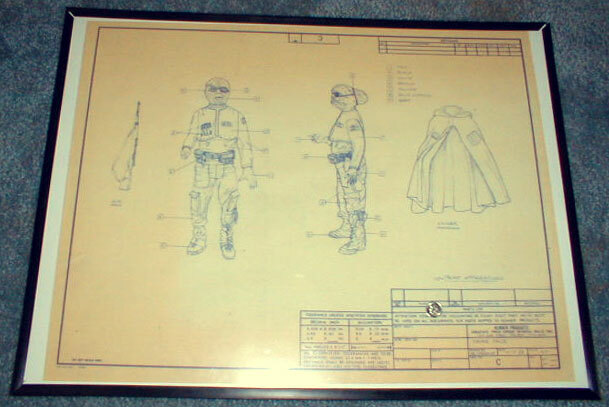 This blueprint for Kenner's figural version of the character, owned by Prune Face fan club president Jon Peck, is a pretty nice example of this type of item. Here's a close-up. All those numbers you see surrounding the image indicate the various colors the figure was intended to be decorated with.